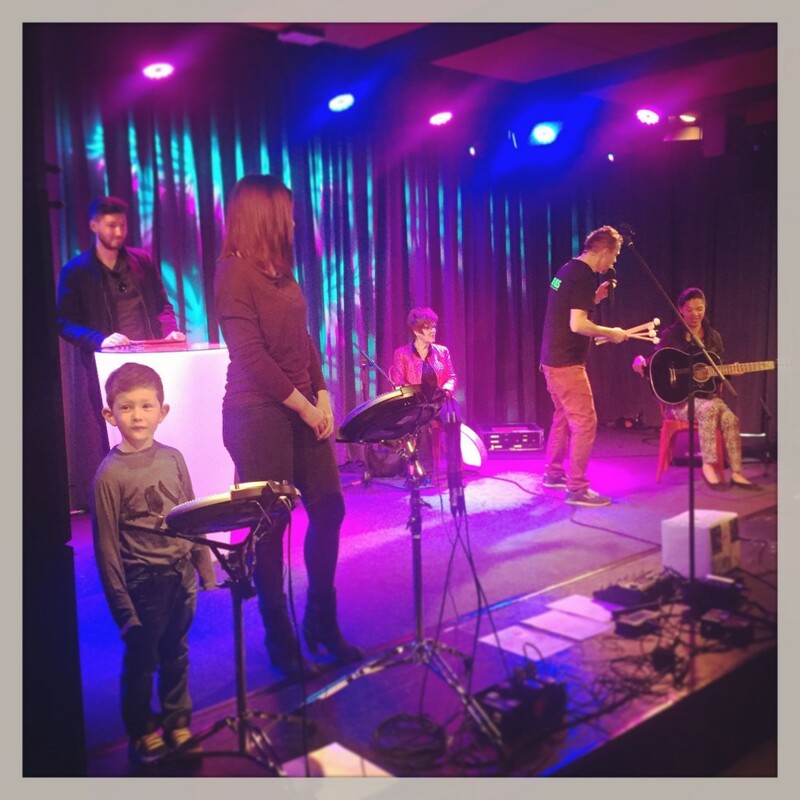 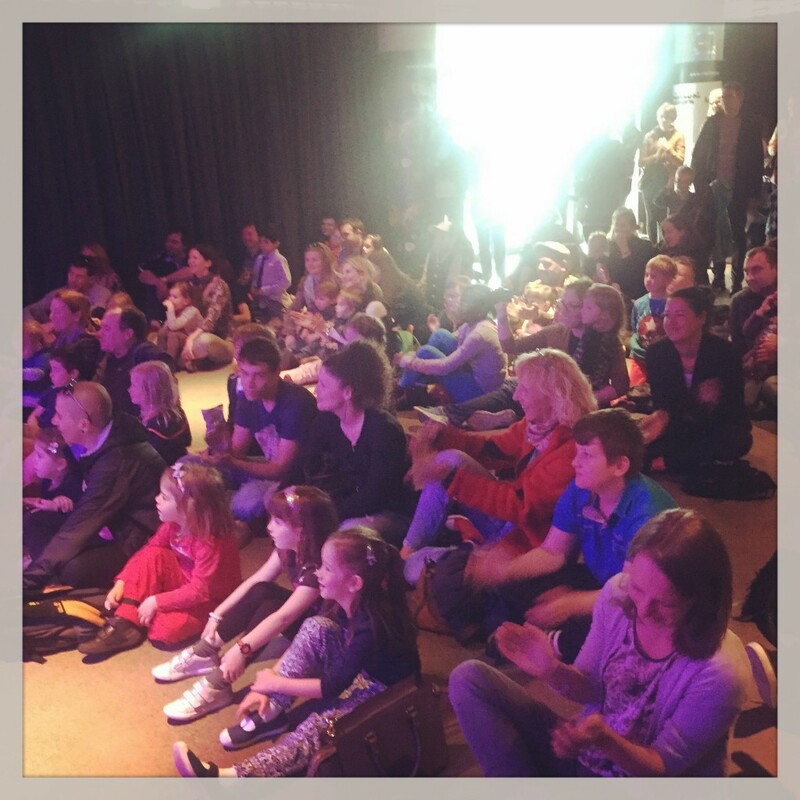 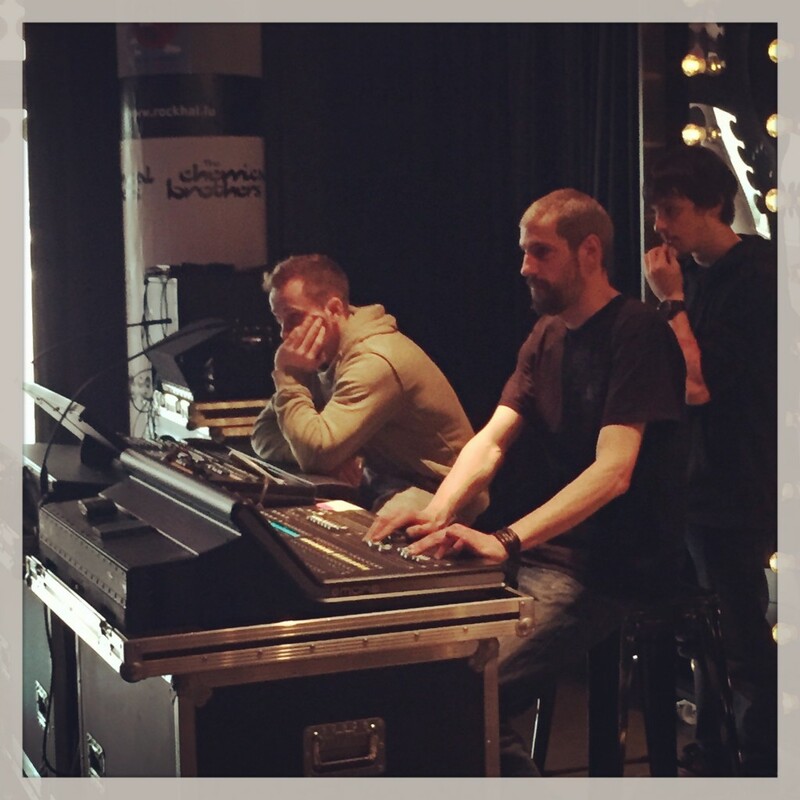 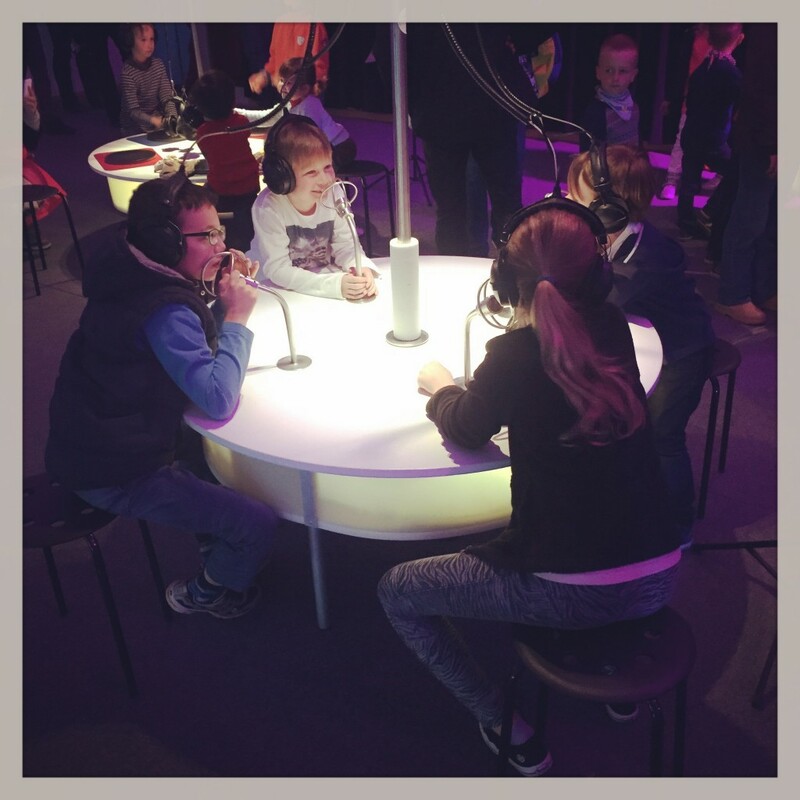 Last Saturday took place the official opening of the interactive electronic music exhibition 24 Heures Electro For Kids at the Rockhal. 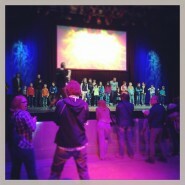 We’ve been there and it has been a great experience for the kids! 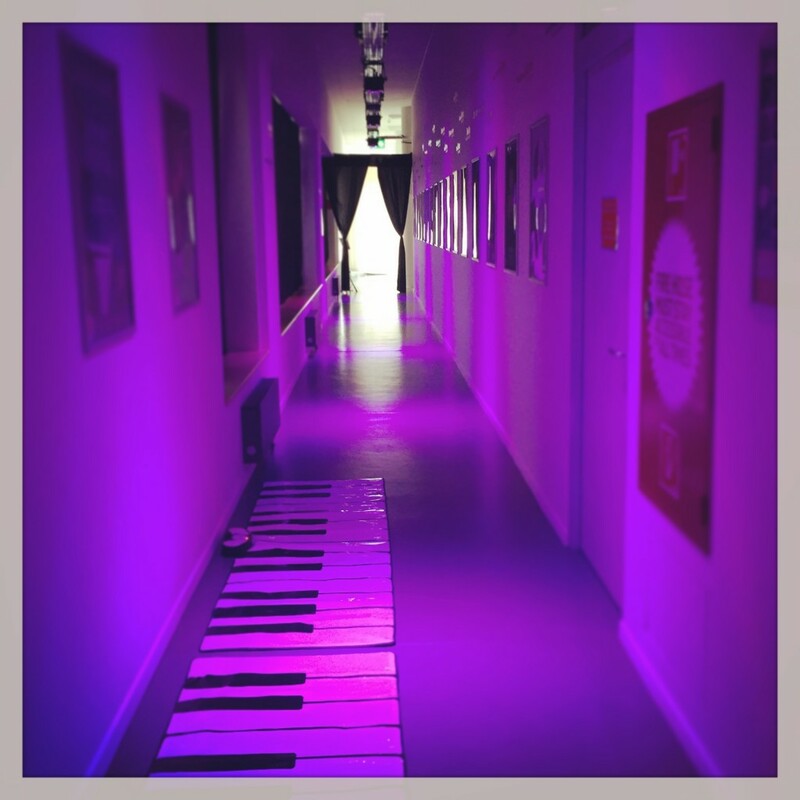 During 3 weeks, the Music & Resources Center of the Rockhal does transform itself into a playground and sonic laboratory. 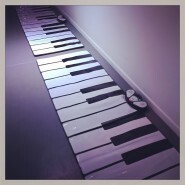 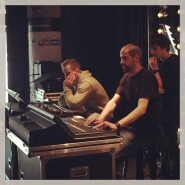 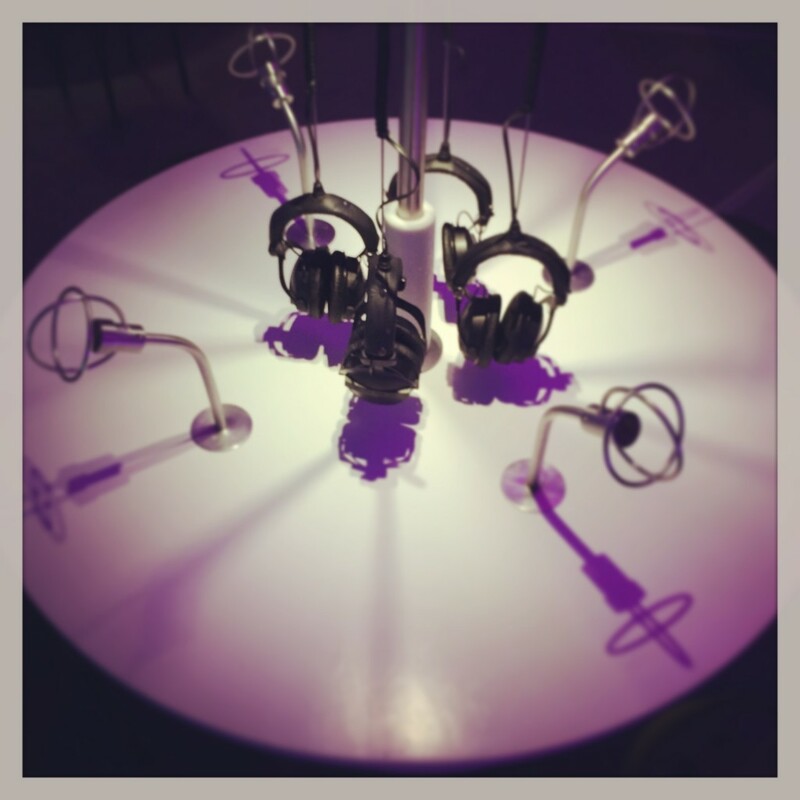 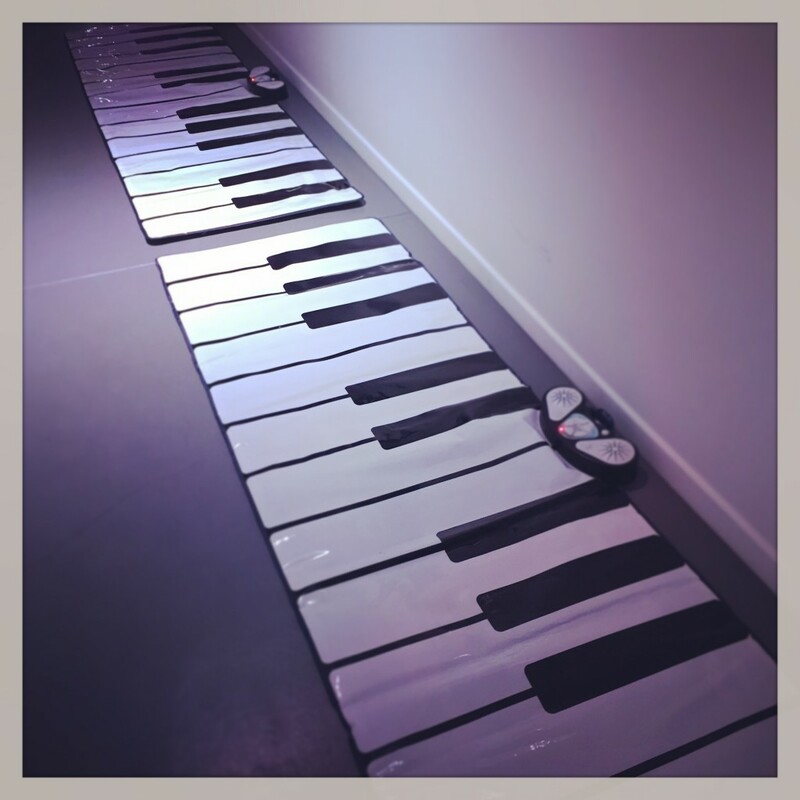 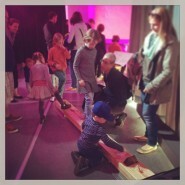 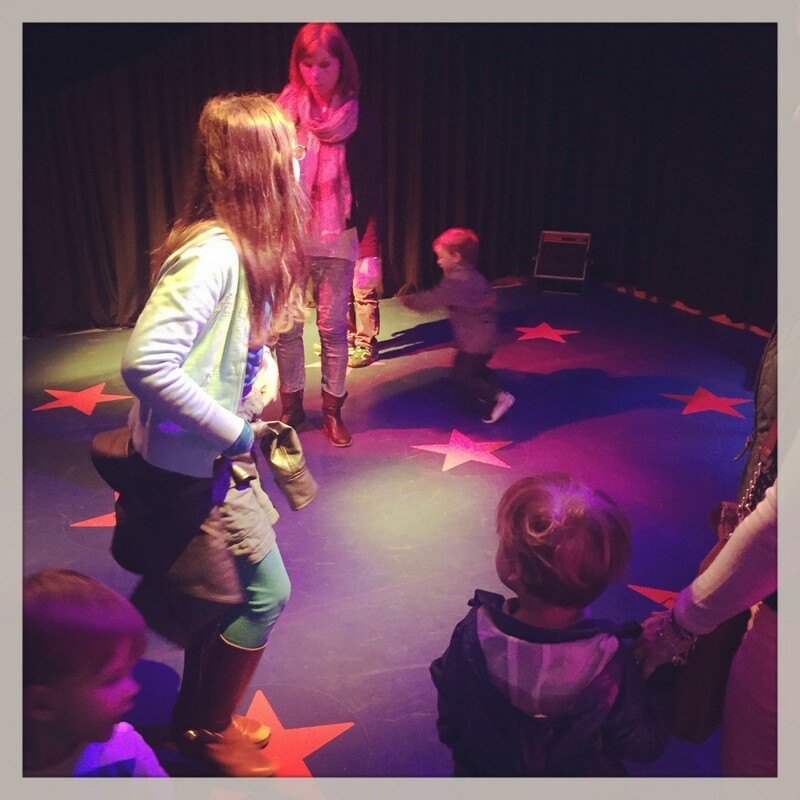 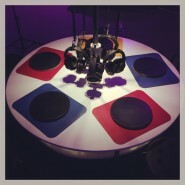 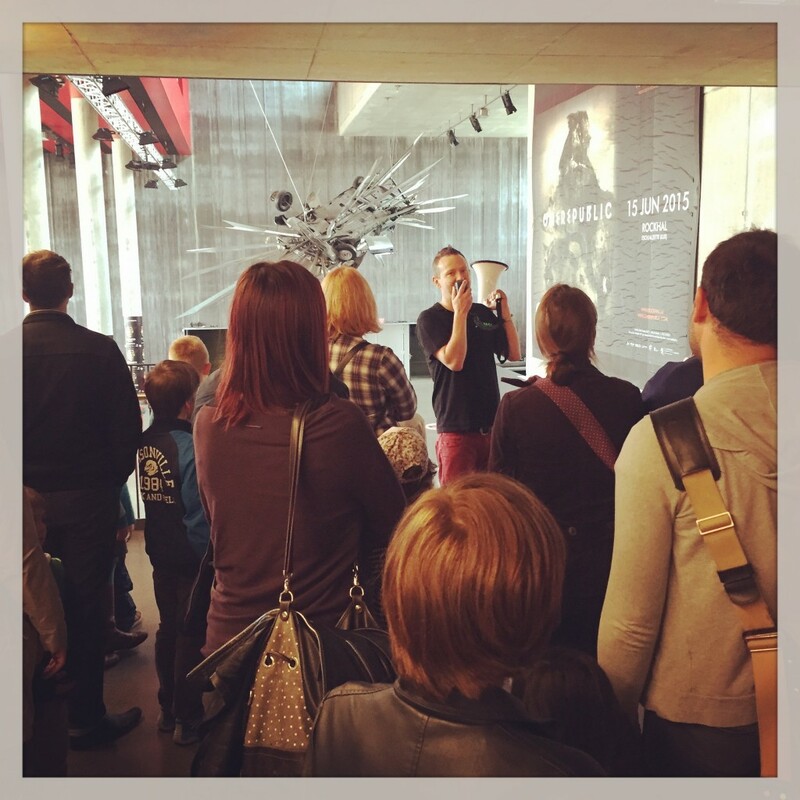 6 interactive play stations, provided by Michael Bradkes’ Mobiles Musikmuseum, invite the visitors to play experiment and discover electronic music in a playful environment. 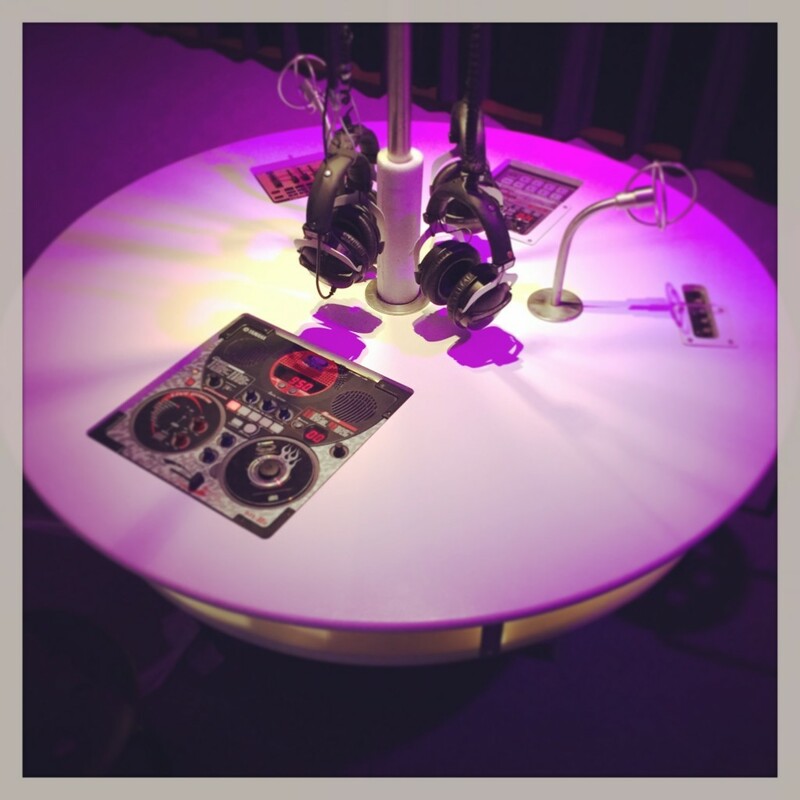 The stations are aimed to get the children acknowledged with electronic music. 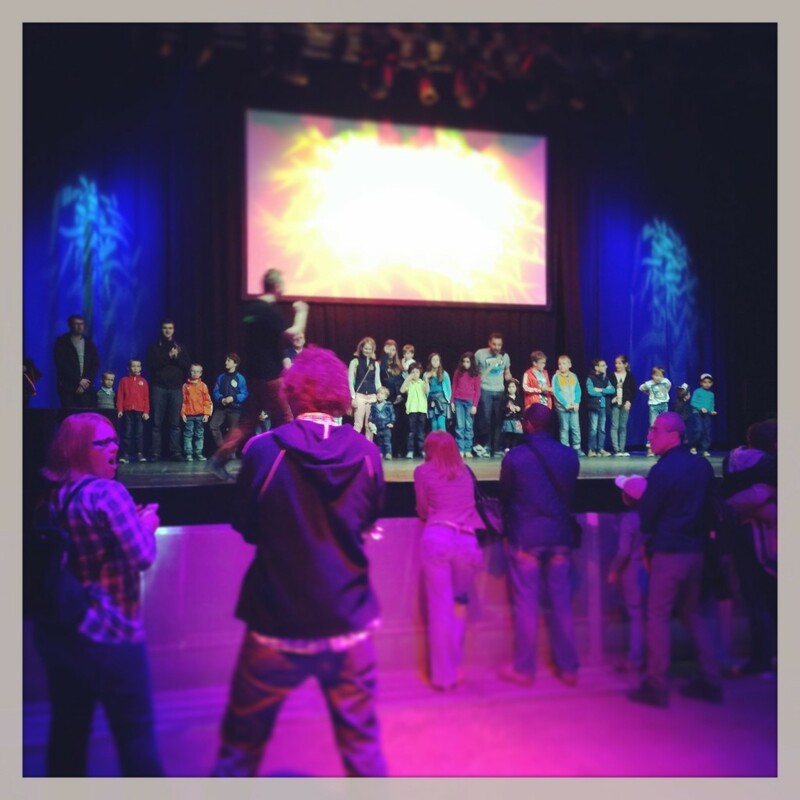 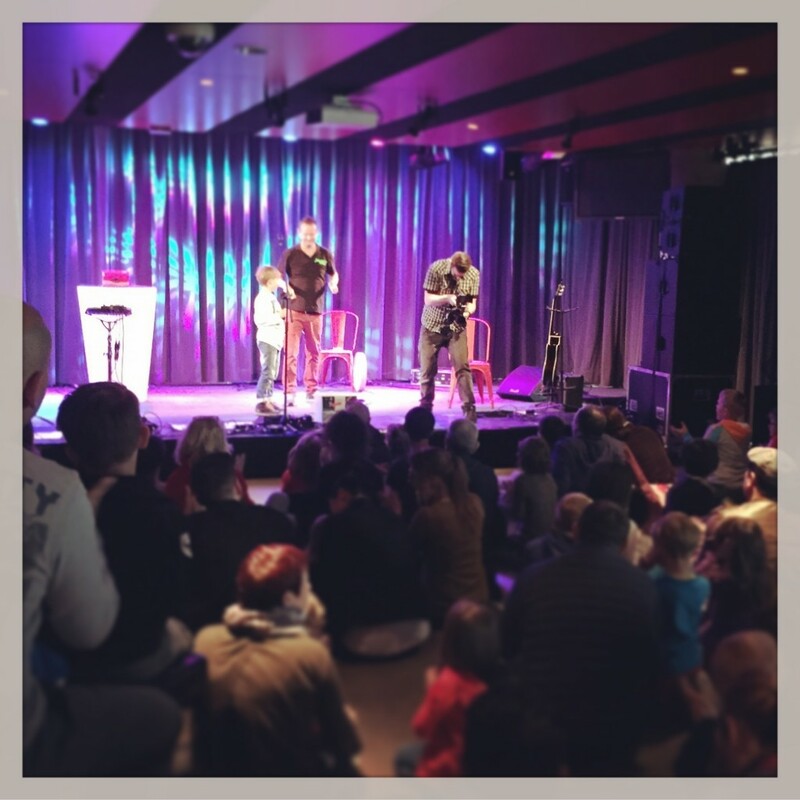 Workshops, proposed and animated by DJ Brave from alternative music school BAMSS, are organized for schools and other educative structures (only upon reservation). 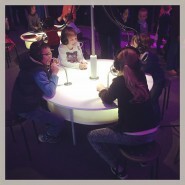 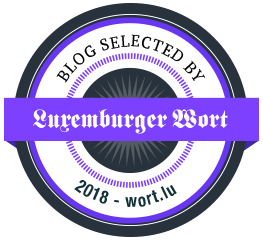 This year for the opening of the exhibition, DJ Brave concocted a nice interactive program called “Lauschter mol!” to explain in simple words to the children (and the adults) in what consists electronic music. 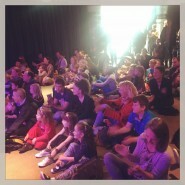 Over 120 visitors assisted to this great presentation at The Floor. 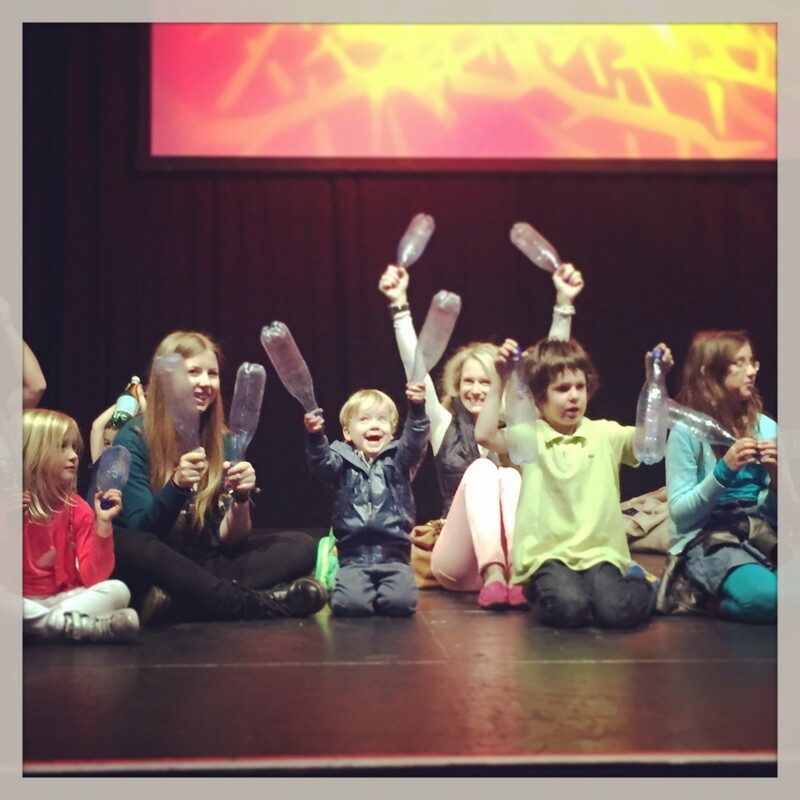 Some of them even got the chance to participate on the stage of the Club to a musical performance, using unusual instruments such as megaphone, plastic bottles and drum pads. 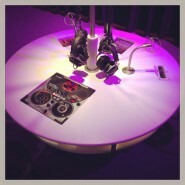 Reloop: scratch, loop, be a DJ! 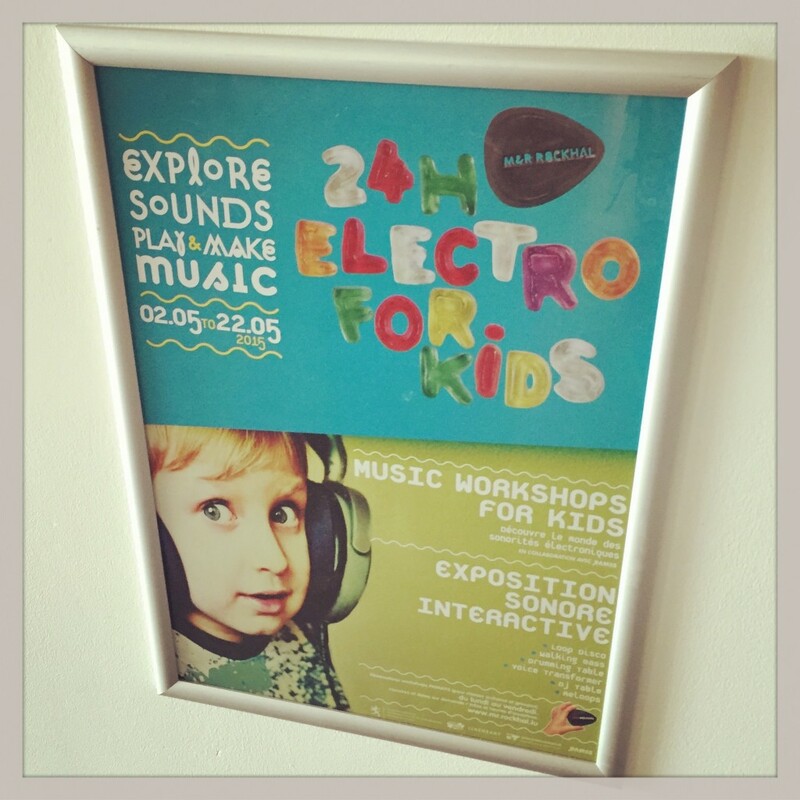 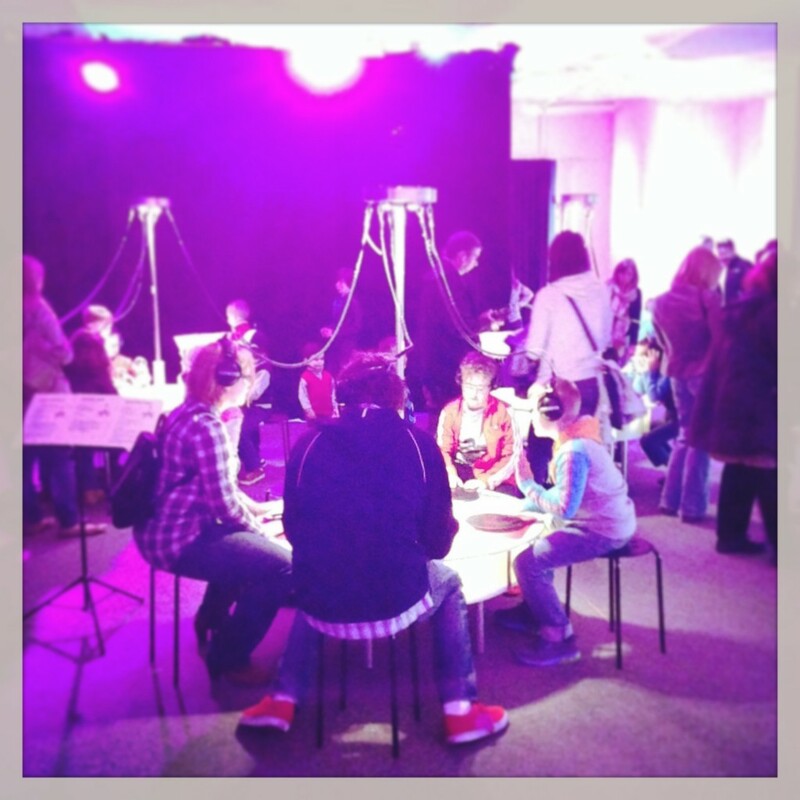 The 24 Heures Electro For Kids exhibition is still open to the public until May 22 on Mondays, Wednesdays and Fridays from 4 pm to 6 pm at the Music & Resources Center of the Rockhal. 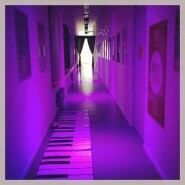 And the entry is for free! Don’t miss it!